January is a time for fresh starts, an opportunity to set brand new healthy habits for the next 52 weeks, right? Well, maybe not. 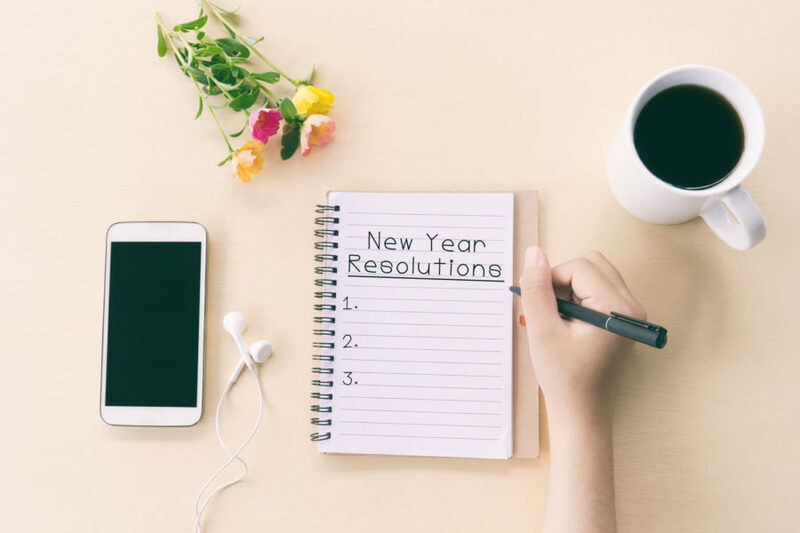 While you may have heard the “new year, new me” mantra, according to psychologist Ginger Clark, PhD, the beginning of a new year may actually the worst time to begin a difficult new endeavor, mostly because you might not be ready for it yet. “The best time to set a goal is when you are sufficiently motivated to make and maintain that change. Trying to set goals before that will often lead to failure," Clark told InStyle, explaining that when you jump the gun, you're setting yourself up for a loss. Think about it: You wake up on New Year’s day exhausted and likely hungover. Is that really the moment to lace up your running shoes? It’s been a week since you last checked your work inbox. Do you really want to put pressure on yourself to advance in your career when you’re still scrambling to catch up? “We typically make change when our current situation is so uncomfortable that staying the same is worse than the fear of change,” said Clark. But what happens when there’s that pressure to commit to change once the New Year comes? It’s just another day, right? Well, that’s true. But to so many people, New Year’s is also a day of new beginnings—and, whether out of optimism of guilt, it’s easy to an intention that you’re not ready to commit to yet. With no real plan or momentum, by February you’ll be back to doing the same thing you were doing before the ball dropped, says Clark. So how can you set yourself up for success if you’re determined to make a change in 2018? “There are lots of models of goal setting. But the most important things to remember are that goals must be reasonable, measurable, and broken down into smaller steps," said Clark. "Breaking your goal down into smaller sub-goals is a good way to keep your motivation high." Why? “What stops us from change is fearing the unknown or the work that will be involved in developing and maintaining a new routine. We give up on goals because the newness of the change is uncomfortable and difficult to get used to,” Clark explained. So mitigate your fear of the great unknown by laying out a detailed, multi-step plan broken down into achievable mini-goals that will allow you to build on your success. Another key, said Clark, is setting a goal that’s ambitious—but not a stretch. For example, promising to exercise every day for an hour is something that very few people can achieve right away; instead, Clark suggested, start with a more moderate resolution that works with your schedule, whether that’s a weekly yoga class or setting aside a half hour for gym time a couple times a week. Once you cross the finish line, extend it. Most importantly, said Clark, don’t keep your expectations in check—especially if you suspect you’re just not a January motivator. Because let’s be real here, you can set that same goal when in March and see as much if not more progress, as long as you take the right steps to get there.